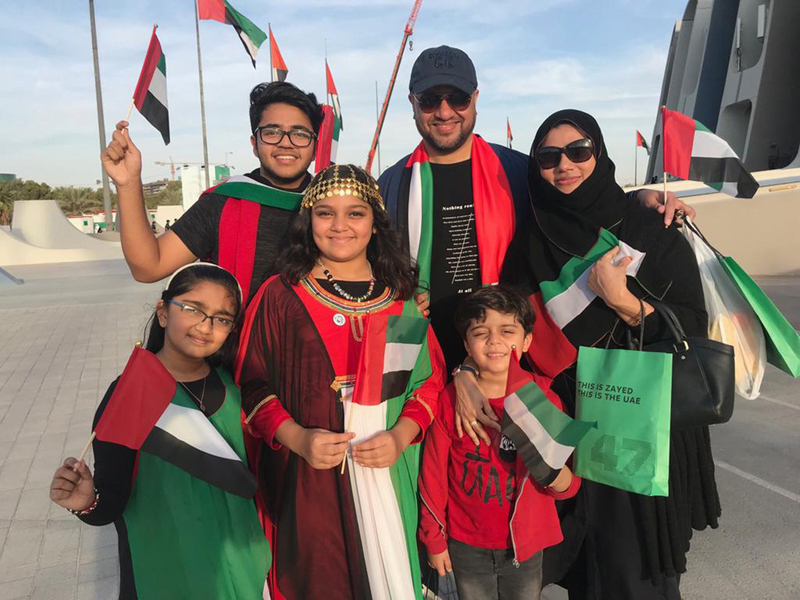 Abu Dhabi: Thousands of people witnessed the official 47th National Day celebrations on Sunday evening in Abu Dhabi at Zayed Sports City Stadium with a series of visual entertainment honouring the life and achievements of the UAE’s founding father. The added flavour to this year’s National Day celebrations is that it coincides with Shaikh Zayed’s birth centenary. 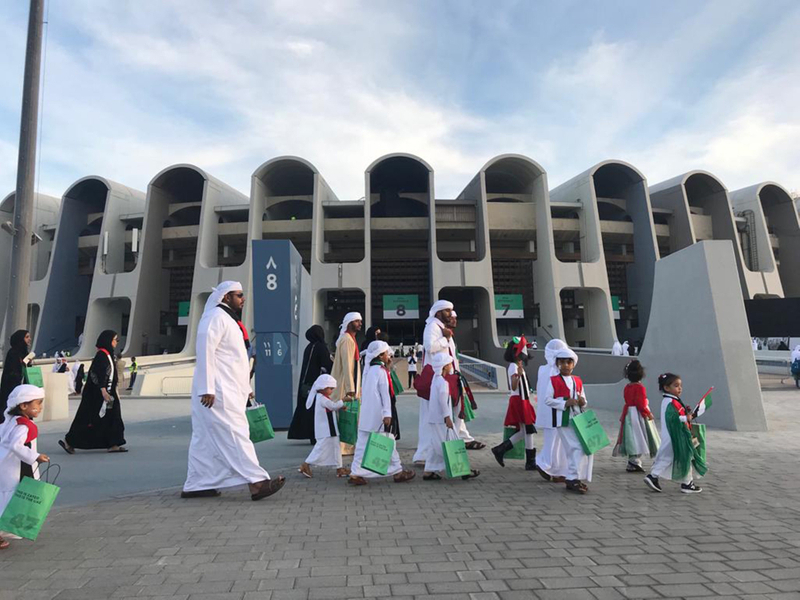 Emirati and expatriate families with their children began flocking the stadium from 3pm. Children, waving flags, were attired in national colours, while men sported mufflers of national colours. 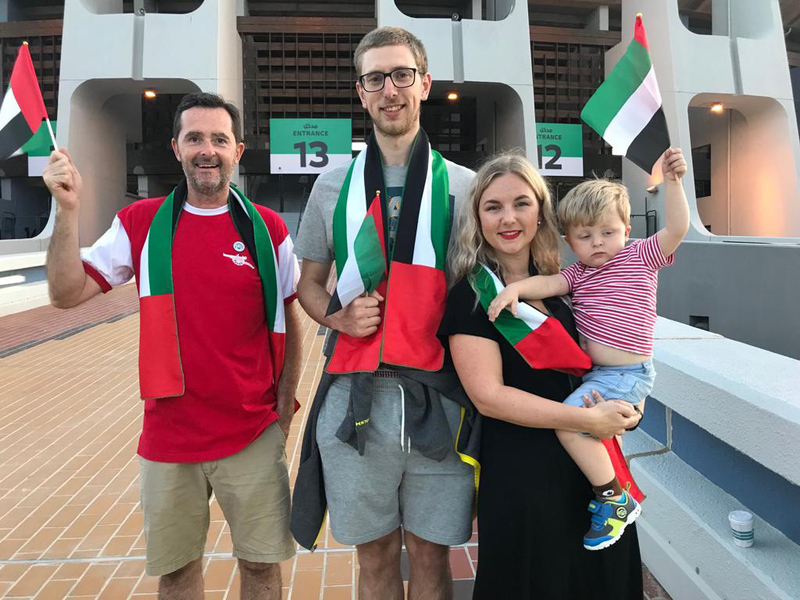 More than 22,000 people gathered at the Zayed Sports City Stadium in Abu Dhabi — the venue for this year’s official celebration. “Now it’s our duty to preserve it and serve the nation,” he said. 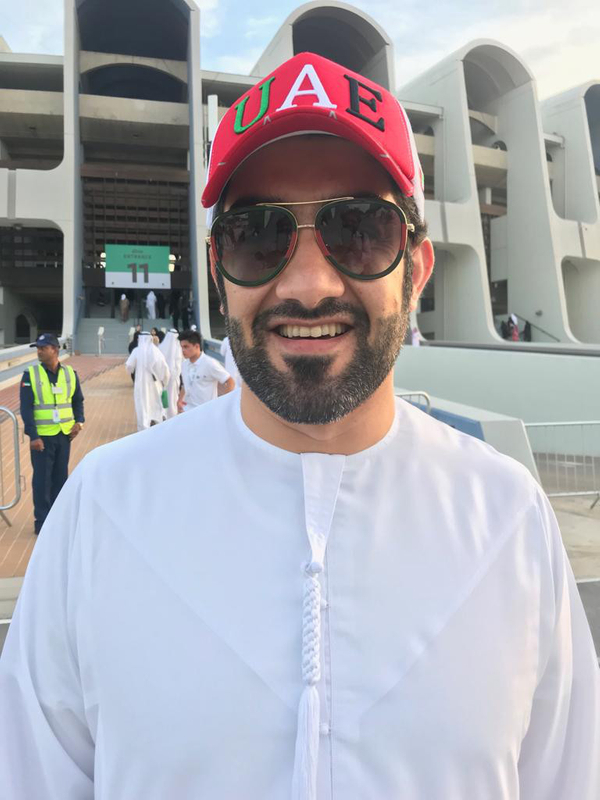 Another Emirati from Abu Dhabi, Abdul Rahman, said, “There was nothing in the UAE and it’s the vision of Shaikh Zayed who united all seven Emirates and put the country on the path of success and prosperity. Ceremonies started with Zuma Al Qubaisi’s long poetic appreciation and achievements of Shaikh Zayed and the Rulers of the UAE. 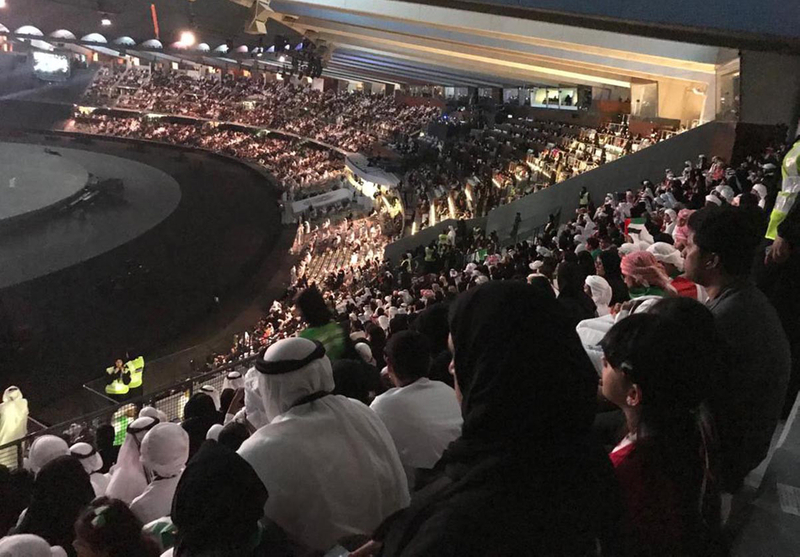 The 47th National Day was celebrated in spectacular fashion at the stadium, with stunning visual displays, live musical shows, and over a thousand performers entertaining the crowd. 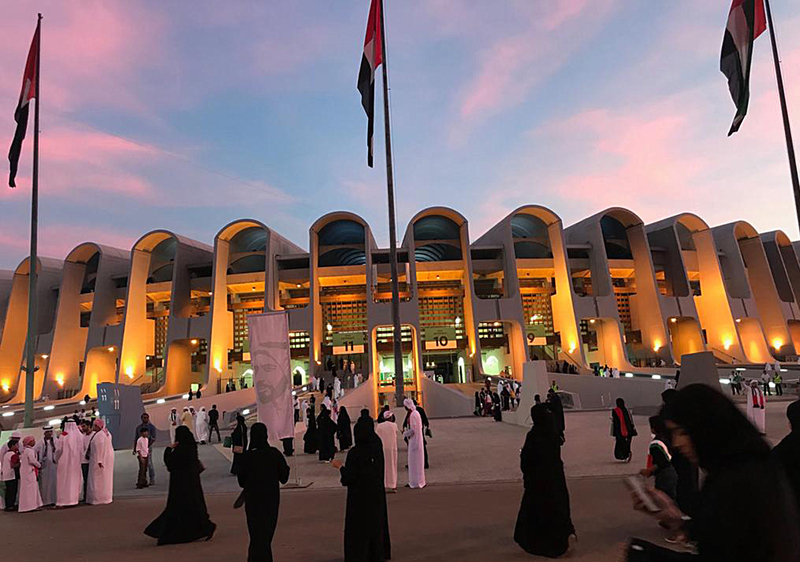 One of the most spectacular shows was that which depicted the struggle of a bunch of engineers with limited tools excavating and discovering oil, which eventually led to the unification of the UAE. The entire stadium burst with crackers, light streams and applause. Struggles of the past in the barren deserts were highlights of the celebrations. The ceremony was held under the patronage of President His Highness Shaikh Khalifa Bin Zayed Al Nahyan and was attended by His Highness Shaikh Mohammad Bin Rashid Al Maktoum, Vice-President and Prime Minister of the UAE and Ruler of Dubai, and His Highness Shaikh Mohammad Bin Zayed Al Nahyan, Abu Dhabi Crown Prince and Deputy Supreme Commander of the UAE Armed Forces, and Their Highnesses Supreme Council Members and Rulers of other emirates. 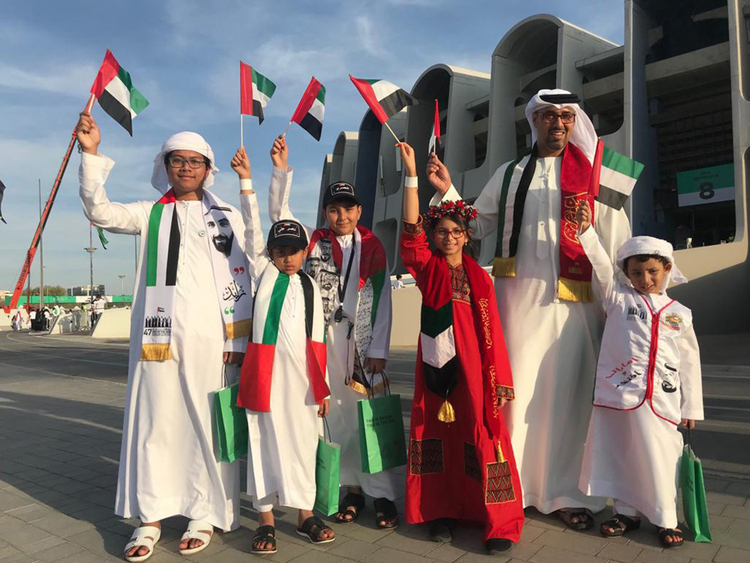 The celebrations also paid tribute to the foundation of the union at Saih As Sidirah, when Shaikh Zayed forged a new path for the future of the seven emirates of the UAE with Shaikh Rashid Bin Saeed Al Maktoum, the then Dubai Ruler. “I have been living here for 21 years but I don’t want to go back it’s one of the best countries to live in peacefully. Truly I find it the best place to live, that’s why my children are here and living and practicing our religion.” King said, who came with his son in a stroller and his wife. 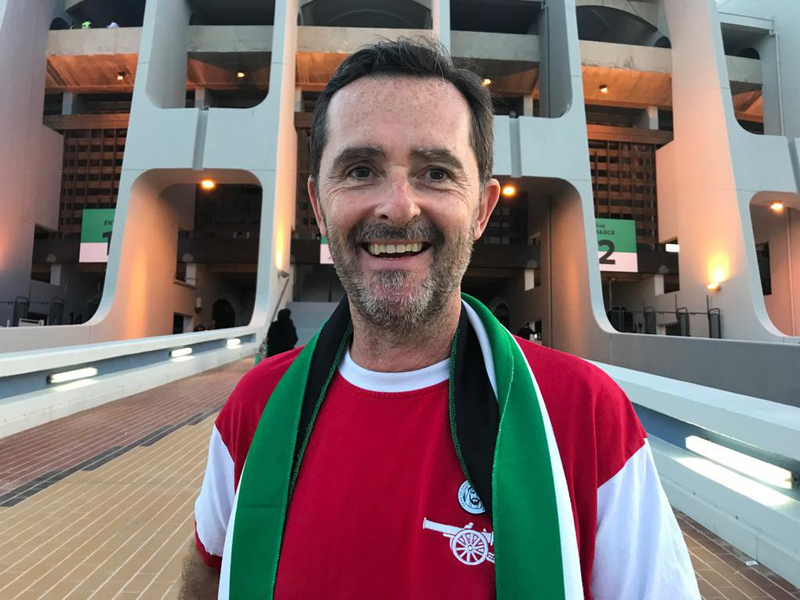 “When I came 21 years ago to Dubai, no developments were there like today, but a vision of the man, Shaikh Zayed it changed whole country,” he said.